Enphase Microinverters	What's underneath the panels makes all the difference. The solar panels on your roof absorb sunshine in the form of direct current (DC) power. Tucked beneath each panel, a microinverter converts that DC power to alternating current (AC), the form of electricity your home can use. The Envoy is the brains of the system, gathering data from your microinverters and delivering it to Enlighten software. It communicates in the other direction, too, letting your installer pinpoint any issue remotely and delivering updates to your microinverters. 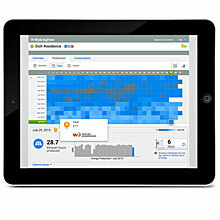 MyEnlighten is your window into your home energy. It turns Envoy's data into an easy-to-use interface that lets you track your system's production and see your home energy usage. 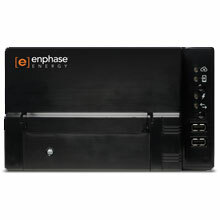 Enphase microinverters are proven to produce more energy than other technologies. Microinverters operate independently, so each panel performs to its fullest. One shaded or dirty panel won't affect the rest of the system. Burst technology lets microinverters produce more at dawn, dusk, and in low-light conditions, for a longer solar day. there's no single point of failure in a microinverter system. Plus, we're obsessive about quality, and our products reflect that. If one panel goes down, the others won't go down with it. Enphase microinverters undergo the most rigorous product testing in the industry. We stand by our products with the industry's highest warranties. Microinverters are safer than other inverter technologies. 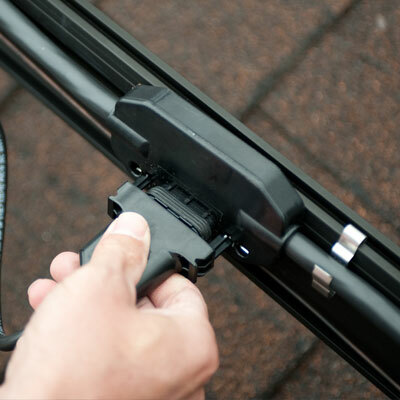 An all-AC system means no high-voltage DC power on your roof. Enphase Microinverters are commonly chosen for schools, since they meet even the strictest government safety requirements. In addition to the greater energy savings from higher production, Enphase microinverters are just a better long-term investment. Enphase microinverters come with a 25-year warranty; string inverters need to be replaced at least once in the lifetime of the system. Streamlined components make for quicker and less costly installations. High-quality materials and remote problem-solving save money on repairs. A system that fits your needs, now and later. The Enphase System is flexible, so you can design a system to fit today's budget and energy needs, and expand it later as your needs evolve. Want to add more panels, or a solar battery? With microinverters, it's no problem. Higher production, no matter what nature brings. Maybe your roof isn’t shaded, so you think microinverters aren't for you. Well, think again. First, every system experiences some shading at some point during the day -- and Enphase tolerates shading better than others. Second, shading is only a part of the story. Think dirt, leaves, scratches, snow…. Third, even if you keep your panels spotlessly clean, wear and tear won’t happen uniformly, and temperature differences occur naturally. No matter what, you’ll deal with panels operating at different levels of efficiency (an occurrence known as module mismatch). And if you’ve got microinverters, you’ll maximize your production in spite of it. Installation is easy -- just plug and play. Simple, single-bolt mount to rail or racking. 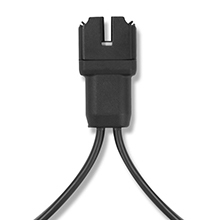 Microinverter plugs directly into Engage Cable. Connect the DC leads directly to the microinverter. 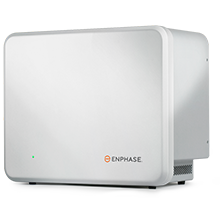 Enphase microinverters integrate seamlessly with the rest of the Enphase Home Energy Solution, one system that combines energy production, monitoring, and storage to make your home energy simpler and smarter than ever. 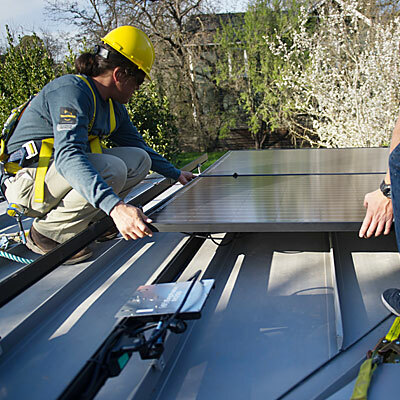 The best-value solar battery on the market helps you make the most of your solar energy. It's smarter, safer, more flexible, and fully integrated with our microinverter system. The industry’s leading monitoring software lets you track your energy production and consumption, putting you in charge of your home energy. High-quality, streamlined accessories make Enphase installations simple, reliable, and cost-effective. 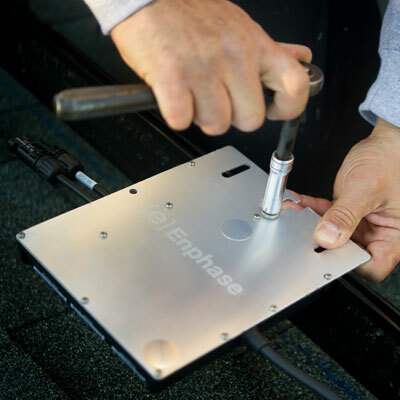 The networking hub of the Enphase microinverter system connects you to your production, consumption, storage, and the grid.